Showing 1 of 93 reviews. Length of course was good and practical exercises were excellent. Insightful, but too much condensed in too little time. It was very impressive and insightful. Scenario based examples + explanations were very good. It was very informative,enjoyed the group exercises and more paper explanations. Andrew was really excellent and was able to answer questions very clearly on applying the theory to the scenazios. I liked the opportunity to ask relevant questions about a live project. I feel much better prepared for the project ahead. Analogies to real life examples were very useful. The clarity of the presentation was excellent. It would have been really difficult without someone so enthusiastic as Andrew. Very relevant to my role, many aspects can be applied to my work environment. agileKRC are at the forefront of agile thinking. We led the teams that wrote PRINCE2 Agile® and developed AgilePM®: two of the most popular agile approaches in the marketplace today. 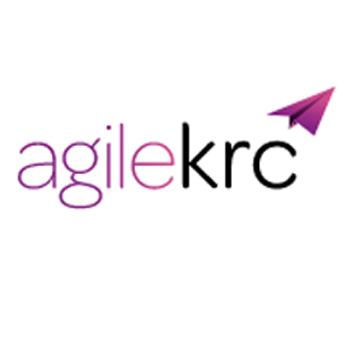 agileKRC offer a blend of training, coaching and consultancy to ensure organisations benefit from all areas of agile, and achieve a permanent and lasting change to their working practices.